August 6th, 2018The July 29th, 2018 Poll Winner for the Passage to Profit Show is: Perfitly! We’re excited to present the July 29th, 2018 winner: Perfitly! They won by taking the lead with 77 points. “Perfitly’s AR/VR Platform allows online shoppers to virtually try-on clothes before they buy. 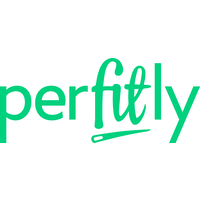 You can find Perfitly online at their website http://www.perfitly.com/ and on social media.